Art of Domesticity: March means NATIONAL CRAFT MONTH! Today marks the beginning of National Craft Month! And, being that this blog is all about learning new things and being little Miss Domestic, I am challenging myself to create (and blog about) one craft a day. This is not going to be easy...especially because when I take on a craft project, it usually takes me a while to complete. But alas, I will try. Today I decided to start by making a pendent. When my best friend, Jessica, was in town for her birthday a few weeks ago, I took her to Old Town. We stumbled upon this magnificent little bead shop, called New Mexico Bead & Fetish. I do believe we browsed around looking at every bead for about an hour. They were so kind and helpful! And we had an absolute blast! My friend purchased a few of the fly bird fetish beads...they even made them into pendents for her right there in the shop! 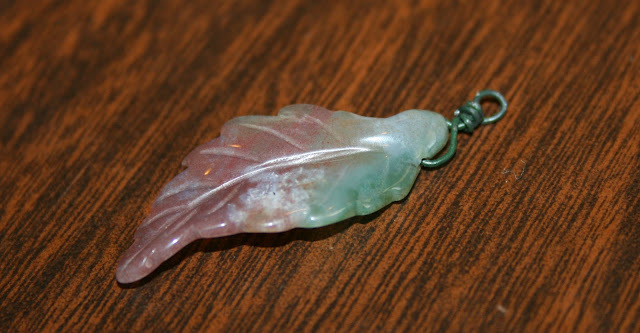 I purchased two of the gorgeous leaf beads. I love them! 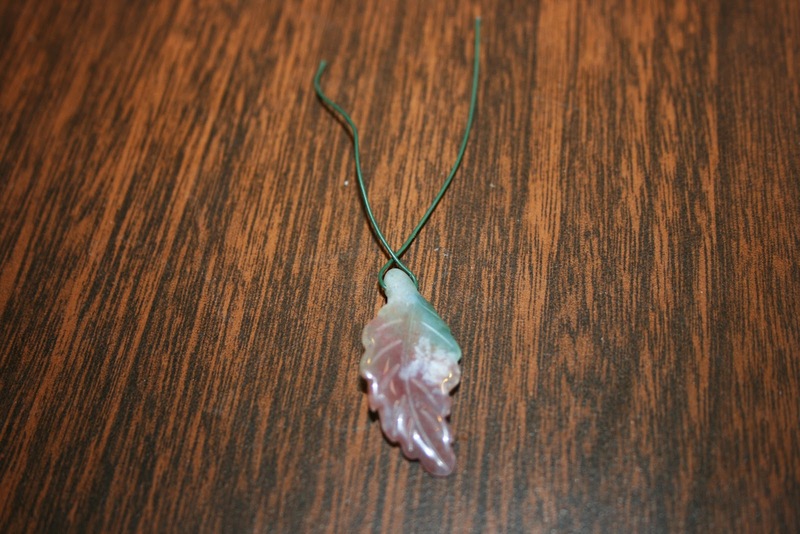 So today I decided to make my leaf into a pendent. First I started with my green jewelry wire. I'm not sure where I got this or what diameter it is, as I've had it for years and years. But it fits snugly in the bead hole. Wrap the wire through the bead and cross wire sides. Then wrap one side around the other a few times to secure. After that, make a second loop with the other end. This will be the loop that goes on your chain. Wrap the end around the center, again several times. This will secure the hold. Then crimp the edges down so that you don't have a rough edge against your skin. I also made my chain. 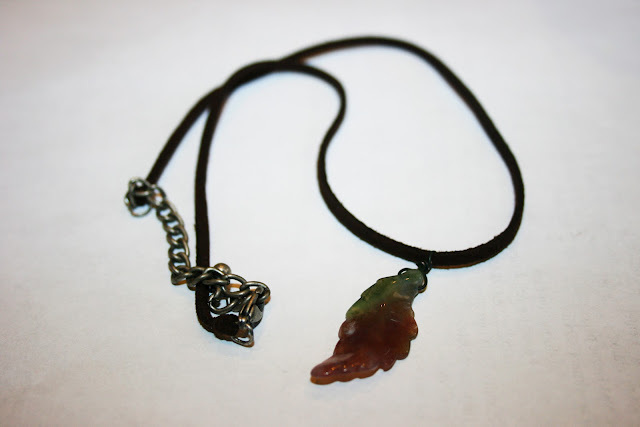 I had a leather strip, from an old necklace that broke. And I tied the edges of the leather strip to my chain clasp. Then I strung the pendent. Please, oh please, encourage me on this path of crafting daily throughout March. I would so greatly appreciate your comments on these posts and would love to hear if you try any of the crafts yourselves!